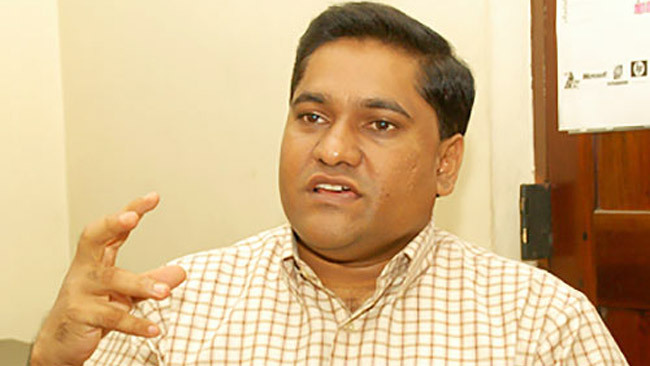 The Janatha Vimukthi Peramuna (JVP) yesterday said the government has given an undertaking to the IMF that it will privatise several loss making state institutions including the Petroleum Corporation, the CEB and SriLankan Airlines.JVP Propaganda Secretary, Parliamentarian Vijitha Herath told journalists in Colombo that the above was one of the conditions laid down by the IMF in exchange of a loan facility which the government has requested. Herath predicted that the privatisation of these institutions will happen in stages so as not to earn the immediate wrath of the public. “A cash strapped government is only looking at two options to bolster its earnings. That this to heap further tax burdens on the people and privatise state institutions,” he added.Herath also criticised the government’s attempts to increase the Value Added Tax (VAT) from 11 to 15 percent while noting that this will heavily burden the low income earners. VAT may be a negative impact on Supply . Specially , domestic the domestic supply chain . When VAT increases the production cost inclines. The good that come to the market may have a higher price mark up and may struggle with products that are imported. On the other hand Privatization is a essential tool that may increase the effectiveness . Please do not oppose all what is introduced . Even , India for that matter China are privatizing its cash cows. What is wrong in privatisisation of all loss making state agencies. Tax payers are being burdened heavily due to continuous losses from these agencies. When these agencies are heavily over-employed with unproductive labor force and the key managers too lack competency, privatisation is the only option.